A review of Western National Health Insurance Company finds the Western National Insurance Group of Edina, Minnesota. 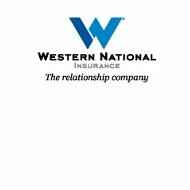 Western National Insurance Group is the parent company of nine other property and casualty insurance providers. These companies provide a variety of personal and commercial policies, but none of them offers health insurance coverage. Enter your ZIP into the free toolbox on this page in order to shop from health insurance quotes from several insurance providers in your area! Three of its nine subsidiaries are recent acquisitions, and the company has an eye to continue expanding in the future. The company’s policies are sold solely through independent insurance agents. Each of Western National’s subsidiaries also has a general contact address and phone number, which can be found on their individual company websites, or through the link on the “Contact Us” page on Western National’s website. Western National Insurance Group was founded in 1900 as Mutual Creamery and Cheese Factory Fire Insurance Company of Minnesota. As the name implies, the company was formed to help protect the members of a creamery and cheese cooperative group from fire loss or damage to their business property and products. Within the next 25 years, the cooperative members also founded two other insurance companies, one to protect them from liability and the other to insure them against damage from tornadoes. In 1953, the companies merge to create the Mutual Creamery Insurance Company. Big changes happen to the company in 1955, when it decides to offer coverage to people who aren’t members or the cheese or creamery coop. It also expands its lines to include automobile and homeowner’s insurance. Additionally, Mutual Creamery Insurance begins to offers its products through independent agents. The Western National name comes into use in 1970, and the company moves to Edina. The four years from 2007 to 2010 prove to be a time of expansion for Western National, with its purchase of seven other insurance companies. Today, the company does business in 12 states, in the Southwest, Northwest, and Midwest United States. To apply for one of these jobs, follow the directions on the website, which include e-mailing, faxing, or mailing your resume, cover letter, and salary requirements. The company also offers a discount on auto and homeowner’s insurance coverage to employees who qualify. Western National is a big supporter of its local community, contributing both money and needed supplies to groups like Habitat for Humanity. It also encourages its employees to do charitable deeds, matches their contributions to qualified non-profits, and pays them for a day of volunteering. While Western National Insurance Group can cover you in many ways, it cannot offer health insurance. Instead, to find out health insurance rates in your area, type your zip code into the box below.